Working Platforms are vital for construction and heavy-duty use pavements on weak soils. Site conditions may require prior improvement of the bearing capacity for the heavy construction equipment; while port and container yard platforms are often built on marginal land, requiring substantial soil stabilization and thick pavement layers and good drainage. The Neoloy Geocell solution is to construct a raft foundation/ mattresses from one or more Neoloy Geocell layers infilled with granular material. The semi-rigid layer creates a working platform enabling construction equipment to move on solid ground by effectively increasing the modulus of the soft soil. In addition, the stiff Neoloy working platform increases the reinforcement factor of Neoloy Geocells used in the upper structural layers. The Neoloy® Geocells act as a 3D mechanical stabilizer that retains confinement, due to their high tensile strength and high Neoloy stiffness, which guarantees low permanent deformation. Neoloy Geocell soil layers acts as a stiff mattress or slab to distribute the vertical traffic load over a wider area of the subgrade. As a result, the vertical stresses applied on the subgrade are reduced and the bearing capacity is increased. Site conditions may require prior improvement of the bearing capacity for the heavy construction equipment. The Neoloy Geocell solution is to construct a raft foundation/ mattresses from one or more Neoloy Geocell layers infilled with granular material. The rigid layer creates a working platform enabling construction equipment to move on solid ground by effectively increasing the modulus of the soft soil. 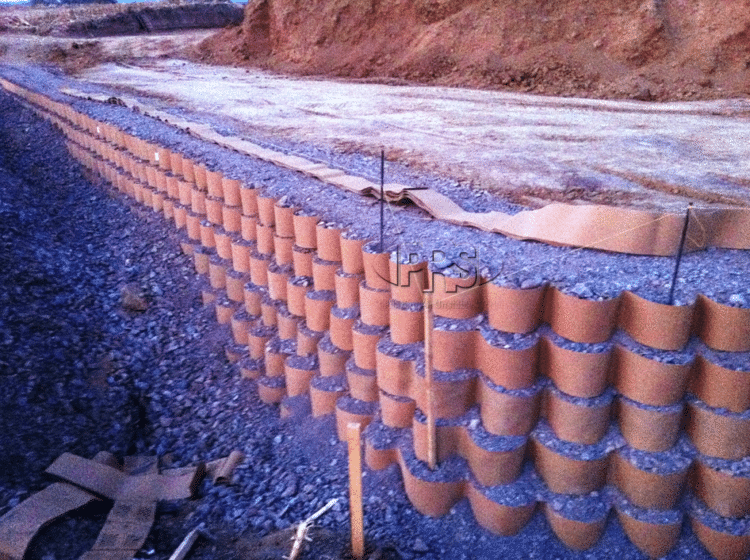 This greatly simplifies the embankment construction process as it is erected and progressively filed in-situ with granular material that forms a rigid platform for working.